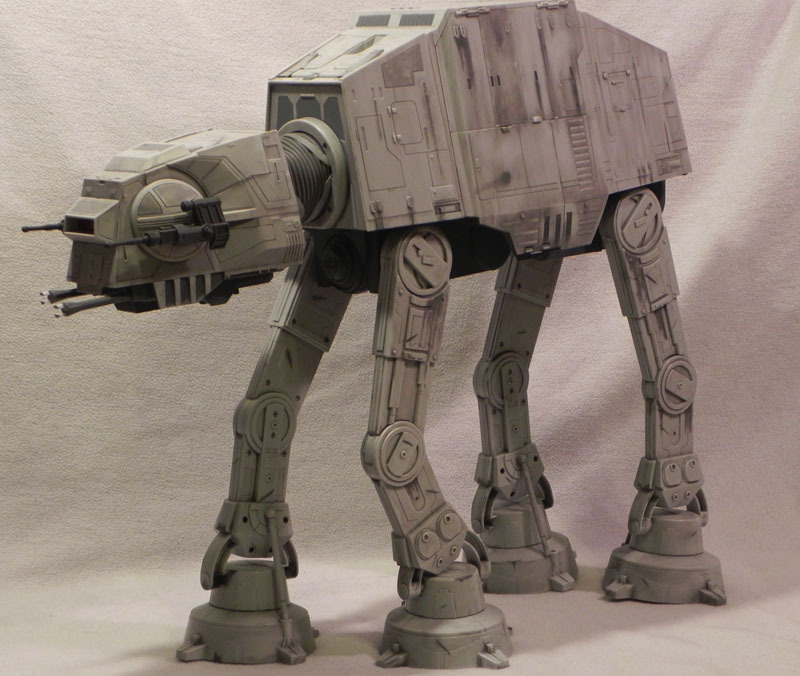 Toyark forum member UltraMagnus2008 took the task of repainting a Star Wars AT-AT, and took it seriously. 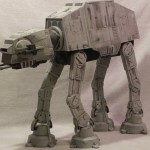 For our Featured Custom, we would like to present his excellently repainted AT-AT. UltraMagnus2008 was kind enough to post a very detailed gallery, and he promises even more. Discuss on the Toyark Forums› Views: 7009 › Credit: UltraMagnus2008 of the Toyark Forums! Here's my biggest repaint/mod to date. Love photographing this thing, Ive got comparison pics to factory paint, and pics with this big guy with some troops coming soon. That is amazing. You were the same guy who customized his snowspeeder right? Awesome job. All you need now is Luke hanging from it's undercarriage. With such an excellent job and an extensive gallery, how could I not feature this? Great job and congrats on the FB! You definitely deserve it. Looking forward to the "fully-staffed" pics and the obligatory Luke hanging from the undercarriage shot. Thank you so much guys! Getting FP once is mind blowing im very humbled you put my work up there again. I hope to have the rest of the pics done soon. According to my wife I need to take the photo booth out of the den asap, lol. the 2 At-Ats together is a sight to behold.